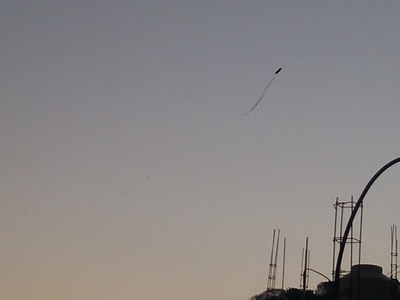 A friend sent me that text to say what a lovely dusk it was. That is what they say here since the sun sets long after it drops behind the mountains. 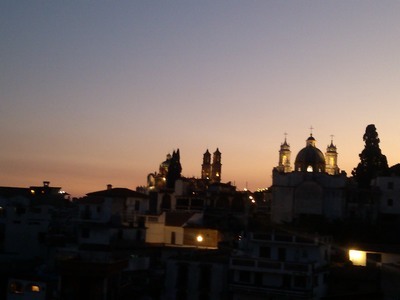 Only rarely does Taxco get a glimpse of color like this at the end of the day. 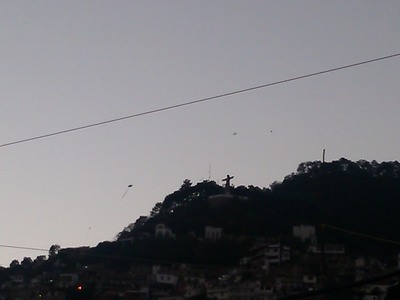 So I went out on my balcony to see and not only did the sky have a nice blush behind Santa Prisca and the Ex-convento, but it was filled with cometas (kites) high and low; dozens of them from the Zocolo to the Cristo statue. Look closely and you will see at least 4 in this photo; many more are in the shadows below.